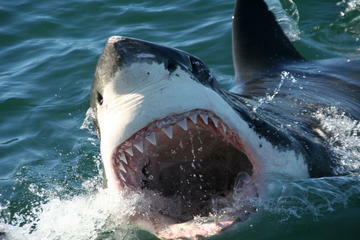 Gansbaai is well-known for having one of, if not the biggest, Great White Shark population. There is no better way to get acquainted with this fearsome creature, than right in its territory. Adding a helicopter ride or a having a 6 day trip to one of these beautiful locations is a massive plus too. If you are wanting a more private excursion, with just you and your group, a private tour is for you. Having the boat all to yourself and your group allows you to have more relaxation time, better views, and of course, more time in the water. The private bus will pick you up at your hotel, guest house, or accommodation at 6 am. You will then start the beautiful and picturesque drive to Gansbaai. The Atlantic ocean will accompany you on one side, while the other will be taken up by the rambling mountainous area. Once you reach Gansbaai, you can enjoy a light breakfast and tea, as well as a safety briefing, informing you on everything you need to know to stay safe and enjoy yourself out in the water. After your dive, you will be served a delicious light lunch, while watching a video of your dive. Once the diving part of your tour is complete, you will be driven back to Cape Town along the incredibly scenic R44, a great way to end off your day. This tour is 100%, and the only people that will be on the boat are you and your guests, allowing for a completely bespoke experience that can be adjusted to suit your wants and needs. There is possibly a no better way to experience the sights and beauty of Cape Town and Gansbaai than a helicopter ride over the Mother City, and a boat ride off the coast of Gansbaai. 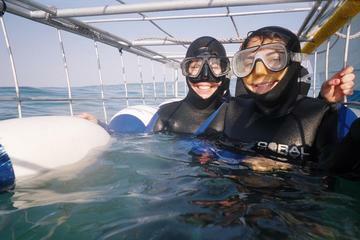 Shark cage diving is definitely the cherry on top. You will start your tour off with incredible area views of Cape Town, its surrounds, the ocean, as well as the amazing mountains that tower over the city. Experience a unique view of Table Mountain, one you would never be able to get from anywhere else. Once you have surveyed the city and its mountains, you will flow over the sandy beaches of Clifton, and the beautiful scenery surrounding Camps Bay. passing the Twelve Apostles Hotel, you will then return to the Waterfront to start the next part of your tour. You will then take a 2 and a half drive to Gansbaai. Once you are in Gansbaai, you will be met by the crew of the boat. You will then receive a safety briefing, as well as a rundown of the day’s activities, all while enjoying a light breakfast. After breakfast, you will head to the boat and take the 15-minute ride to Shark Alley. 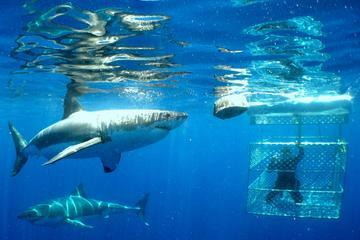 Once you reach there, the crew will start chumming the water to get the sharks interested, before the cage is lowered and your diving experience can begin. If you are someone who prefers to stay out the water, the views are just as epic. The sharks are surface feeders, therefore you will get a view of the, from the boat that is almost as good as the one you will get from the cage. This is a brilliant, all-round tour that allows you to see all the beautiful sights the city has to offer, as well as getting close to the greatest predator of the ocean, all in 2 days, and mixed in with scenic drives, incredible people, and local culture. 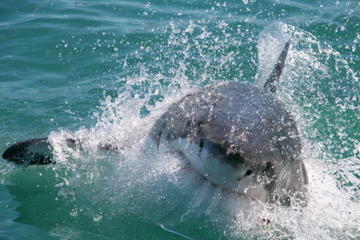 If you are all about the sharks and their magnificent strength, the breaching and diving tour is a must. Not only can you see them up close, but you can also experience their raw power, right in front of your eyes. Your day starts when you are picked up at your designated location, and driven the White Shark Diving Co. building in Gansbaai. You can then enjoy breakfast while having a safety briefing. The first activity is the breaching. The boat will deploy a seal decoy and then you just have to wait for the shark to strike. It is honestly the most intense experience seeing these animals use all their power to burst through the ocean surface. After the breaching part of the tour, the crew will continue to chum the water while they lower the cage for diving. You can then suit up in your diving gear, and wait to get face to face with these incredible creatures. Guests can take consecutive turns in the 8-man cage, meaning you will definitely have more than one opportunity to view the sharks. When not in the water, you can enjoy refreshments on the boat, and view the sea, sharks, and other wildlife. When the diving finishes, you will then be taken back to the White Shark Diving Co. building, where you can enjoy a late lunch and watch a video of your dive. You can also purchase a DVD of your dive. 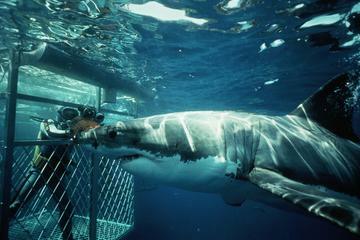 These tours are brilliant options for anybody who is wanting to explore more than just sharks. You will have the chance to explore Cape Town, its surrounds, as well as Gansbaai. Perfect for locals and tourists alike.